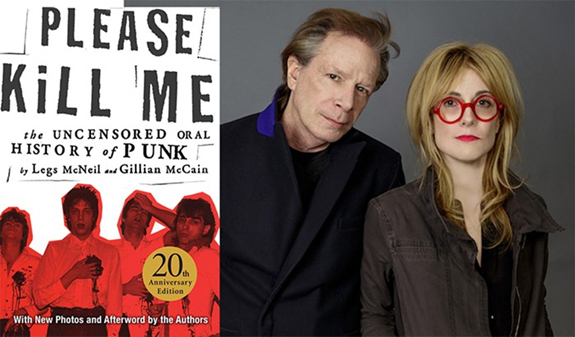 Authors Legs McNeil and Gillian McCain read from and talk about their contemporary classic, Please Kill Me: The Uncensored Oral History of Punk which is the definitive oral history of the most nihilistic of all pop movements. Iggy Pop, Richard Hell, the Ramones, and scores of other punk figures lend their voices to this decisive account of that explosive era. It is the number one best-selling punk book of all time. It has been published in 12 languages and helped launch the oral history trend in music books. The 20th anniversary edition features new photos and an afterword by the authors. The event is co-sponsored by the Bowery Alliance of Neighbors. Legs McNeil cofounded Punk magazine and is a former editor at Spin and editor-in-chief of Nerve. Gillian McCain is a Canadian poet, author, and photography collector. She is the author of two books of poetry, Tilt and Religion.